Mrs. Arvernetta Henry is a long time housing campaign leader at Picture the Homeless (PTH). The audio quality doesn't do her brilliance justice but I'm learning! 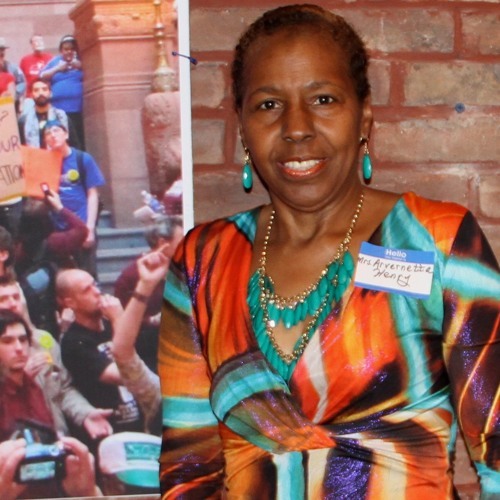 Arvernetta shares her early life history in Harlem and the Bronx, including stories about the public school system, the positive role that NYCHA played in the lives of working class New Yorker's, the importance of church and why education is so important to her. She also details life in the NYC shelter system and the challenges she faced working as a NYC school teacher while homeless. Arvernetta describes when she first attended meetings at PTH and what made her stay. She tells us about her first side walk sleep outs as a member of the housing campaign and the role that PTH played in the development of Bloombergville and Occupy Wall St.